Demon Speed has developed a very simple tool to use along with products like the smart strings. 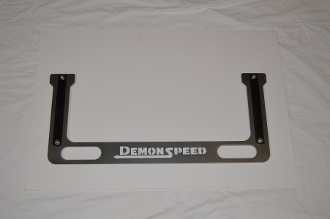 The Demon Speed alignment bar allows you to see your toe measurement in one look. No more going back and forth with a tape measure. A more precise and accurate measurement can be taken because sine error is reduced or eliminated from holding the tape measure at an angle. The Demon Speed alignment bar has two machinist scales mounted to the face. Place the alignment bar up to the tire to achieve the readings to the front and the rear of the tire directly. The machinist scales are reversible, so readings can be taken in English or metric just by reversing over the scales. Our current alignment bar is made to fit 18" or 19" wheels and tires. More sizes to come.